The drop-down button is probably one of the most obvious design patterns introduced in Drupal 8. Here we explain briefly why it's so useful. Let's go back to the menu administrative interface. I'm going to go to structure and then menus, and list links in the user menu. And here in Drupal 8 I'll click edit, edit menu and here's our piece of content. 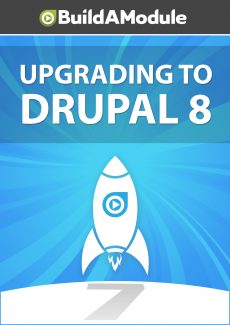 In Drupal 7 there are many components that display as a list. For example menu items, content, comments and so on, and one of the conventions was to have an operations section to the right of the details. In most cases there would just be a couple of options, in this case there's edit and delete.